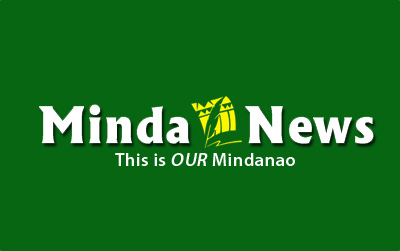 MALAYBALAY CITY (MindaNews/09 June) – That China has refused to submit its claim to islands in the South China Sea to international arbitration only shows its resolve to acquire the disputed territories through force of arms. Since none of its neighbors possess the technology and resources to challenge its military might, China’s tack is to keep the US out of the equation even as it continues to bully the other claimants. After shoving the Philippines out of Mischief Reef and Scarborough Shoal and testing Japan’s mettle China turned to Vietnam, positioning an oil rig inside Vietnam’s Exclusive Economic Zone. This latest show of arrogance however might blow in the face of Beijing in relation to the case by the Philippines before the UN Arbitral Tribunal at The Hague. Since China’s claim is based mainly on the arbitrary, self-drawn nine-dash line the Tribunal will most likely rule in favor of the Philippines. The arbitration body can only rule in favor of China at the expense of becoming the laughing stock of world public opinion, as Beijing’s claim has no basis in international law in particular the UN Convention on the Law of the Seas. Once such ruling comes out expect Vietnam and other Southeast Asian states to also file a case at the Tribunal. But after the Tribunal hands down its decision can the UN impose it? Issues concerning territories are usually lodged at the UN Security Council. Unfortunately for the Philippines, China enjoys veto power [in the Council] as a permanent member along with the US, Russia, France and the United Kingdom. That would leave the Philippines with no option but to submit the ruling to the General Assembly. Now, here’s the situation: The US has not ratified the UNCLOS due largely to the opposition of conservative (read Republican) senators who believe the treaty will compromise America’s defense capability. How will the US – the Philippines’ main patron in the UN – convince the other member-states to vote for a sanction against China in relation to the expected ruling which will be based on a treaty it has refused to ratify in the first place? If the US has ratified the treaty by the time the ruling is brought to the General Assembly for debate among the countries that have so far ratified the UNCLOS (165 as of 2013), and succeeds in mustering enough votes for the adoption of a sanction ordering China to withdraw from the contested islands, how will such sanction be imposed? The only way to enforce it is through a UN military force. Who among the UN member-states will commit warm bodies to it? And will it convince China to abandon its dream for hegemony in this part of Asia? That would be asking for the moon based on China’s recent acts of aggression. On the other hand, the US is anything but willing to concede its influence in the Far East.